PCB Trading Wholesale in motorcycles. PCB trading is a relative young company specialized in motorcycle, scooter and ATV trading. The distribution is orientated at the national and international level. We are only selling B to B and not to the end-user. Our intention is to follow the latest market tendencies and we are trying with all our means to offer the most renowned products at the best possible market price. With a warehouse of 500m², PCB Trading is in the possibility to offer to their clients a clean stock of the most important models. It is our aim to deliver from our warehouse at any moment the most important models of our range. This can only be done by applying a daily stock control. We guarantee market related prices. 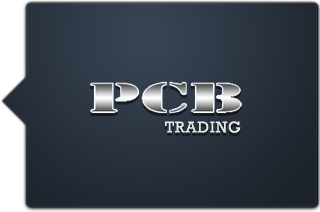 PCB Trading wish to offer to their clients correct prices and is ready to adapt these prices at any moment, following the latest market tendencies. Thanks to its independency of third parties (own warehouse and transport) ,PCB Trading is able to deliver extremely quickly with a guarantee of absolute zero degree damage. We can deliver within 24 h in a 350km radius. For all international deliveries we guarantee a delivery within 48 hours (radius of 1.000km). STAY INFORMED ... Receive our regular newsletter.